It's blue! It's thin (0.8mm)! 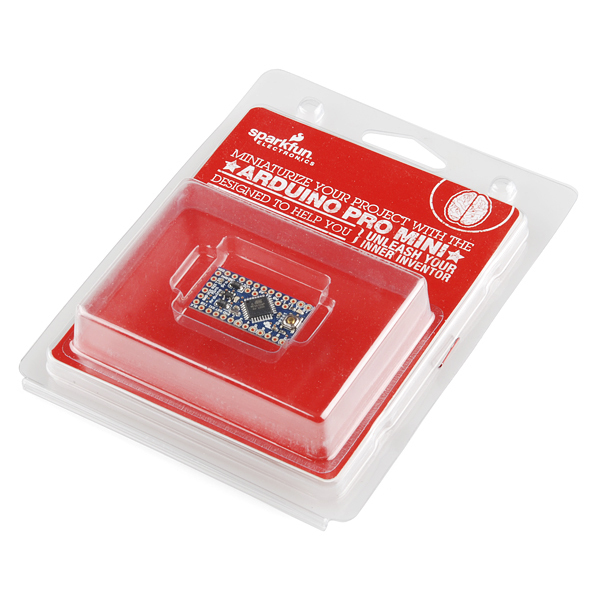 It's the Arduino Pro Mini in retail packaging! 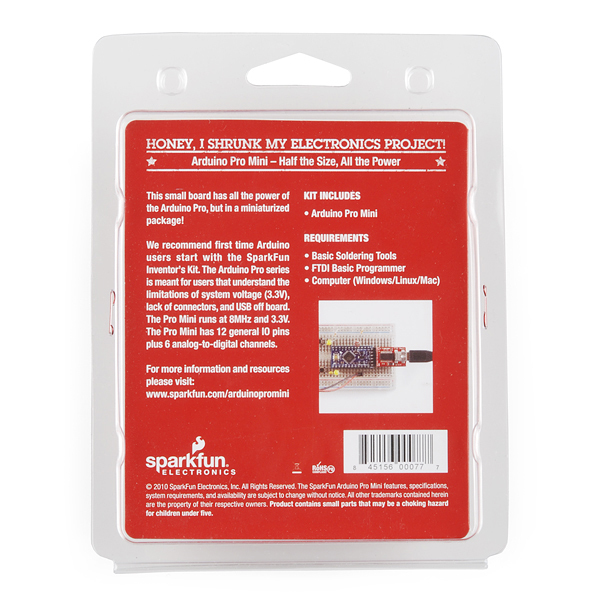 SparkFun's minimal design approach to Arduino. This is a 3.3V Arduino running the 8MHz bootloader. 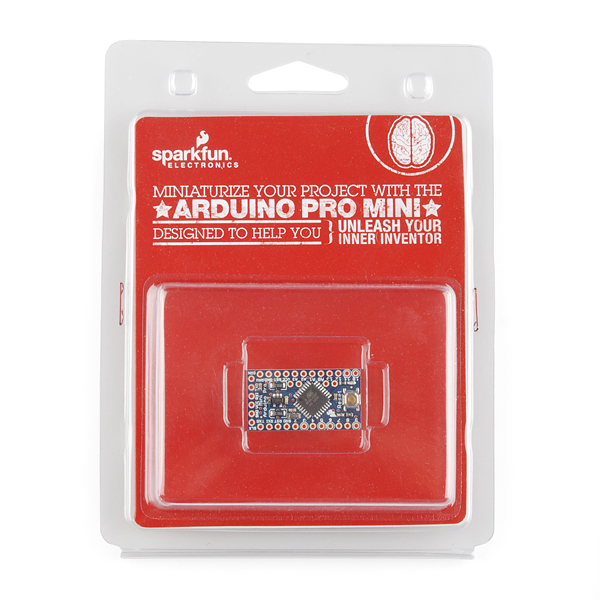 Arduino Pro Mini does not come with connectors populated so that you can solder in any connector or wire with any orientation you need. We recommend first time Arduino users start with the Uno R3. It's a great board that will get you up and running quickly. 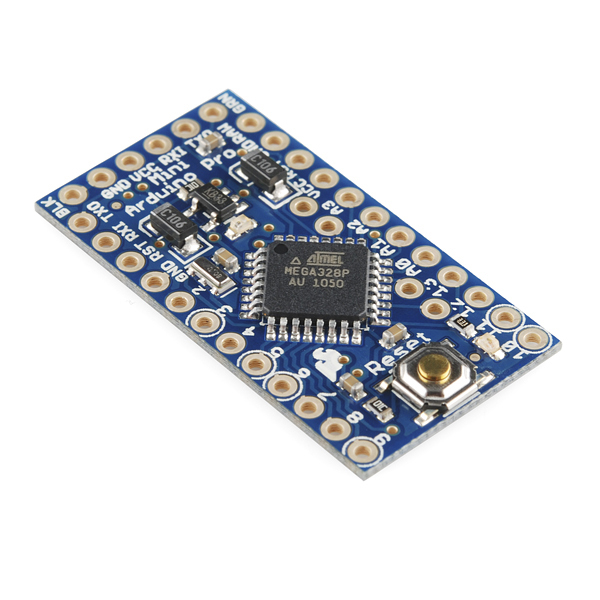 The Arduino Pro series is meant for users that understand the limitations of system voltage (3.3V), lack of connectors, and USB off board. Can't decide which Arduino is right for you? Arduino buying guide! Two things, 1: Wow that is small, I knew it was going to be small but wow! lol, & 2: Is it possible to run a small arm mounted keyboard off of this or would a lily pad be better? It is a standard alpha numeric keyboard w/ numeric symbols & tab, shift, space & enter. It has to be small enough to fit on the forearm. I'm not sure what you mean by 'run'. What would the keyboard be doing? If it just goes into the arduino, you could use a host shield or something... search for arduino and keyboard.